Home / BITE / pubs / New Top Ten Pubs! From user feedback we’ve had we know it’s clear our Top 40 Pubs is very very popular, however – it’s far from perfect. For a start, because of the massive amount of visitors we get from London to the site (and the fact there are more boozers there) the Top 40 regularly gets more London pubs than anywhere else does. 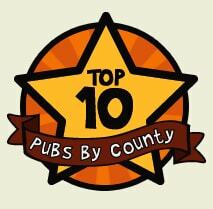 We’ve now created a Top 10 Pubs by County section on the site. We will probably expand this to big cities at a later date depending on user feedback. You can check out the new Top 10 Pubs per County here or by looking for the link on the main website. 2 Responses to New Top Ten Pubs! unfortunately you are letting any pub(regardless of how many people have voted), be counted, so the first 5 for Hampshire are all crap, can you make it a minimum of 20+ votes?